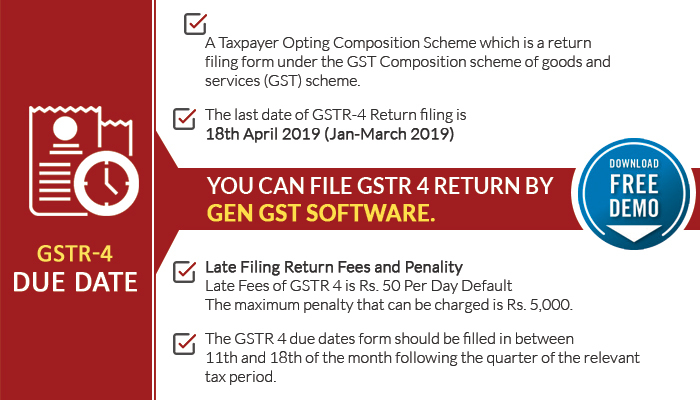 The GSTR 4 Due Date comes on every quarter for composition scheme dealers which is a return filing form under the GST Composition scheme of goods and services (GST) scheme. Under the GST composition scheme, taxpayers are required to file only one return in every three months (quarter) rather than three returns in every month. There is certain eligibility for a composition including that the taxpayers whose annual turnover is less than or up to Rs 1.5 crore in a financial year (turnover for special category States, except Jammu & Kashmir and Uttarakhand, the limit is now increased to Rs 75 Lacs. While the turnover threshold for Jammu & Kashmir and Uttarakhand will be Rs 1 crore must register under the GST composition scheme. The small traders should fill up GST CMP-01 form to accept the scheme. It is suggested that the taxpayers must not miss filing the return on every upcoming GSTR 4 Due Dates quarterly. 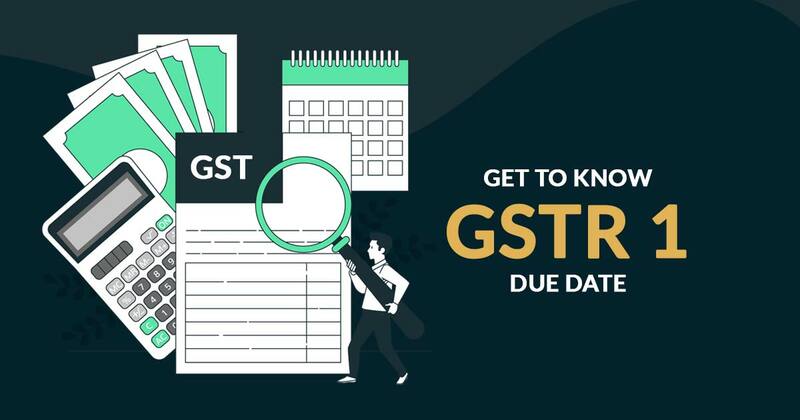 The information details in GSTR 4 due date form should be filled in between 11th and 18th of the month following the quarter of the relevant tax period. 1. The limit of the composition dealers has been increased to Rs. 1.5 Crore. This is applicable for 1st April 2019. 2. The composition rate for services sector has been fixed at 6 percent while the composition limit has been set at Rs 50 lakh. 3. The GSTR 4 return (Composition Dealers) will have to avail pay tax quarterly basis but the return will be filed only once a year. These categories of taxpayers are not liable to file GSTR 4 including, Non-resident Taxable Person, Taxpayers liable to collect TCS, Input Service Distributors, Taxpayers liable to deduct (TDS), Composition Dealers, Compounding taxable person, Suppliers of OIDAR (Online Information and Database Access or Retrieval). GSTR 4 return filing form is partition into 13 modules but it is not necessary to fill all these modules. The asseesses can go through all the form relevant details here in the article. You will be liable to pay tax under composition scheme only from the date of registration i.e. from oct.
Sir, I was submitted wrong GSTR4 for JUL- SEP, but I do not file return yet, help me pls, what can I do? You can reset the return and then make the required changes. I will be submitted GSTR 4 with the reverse charge of purchase- so total GST is charged Rs.60000/- but sir MY business is Medical Stores So I have purchase GST paid Bills. But I have filled wrongly GSTR 4 . so please send the solution. You can only make changes during filing of next quarter’s return. 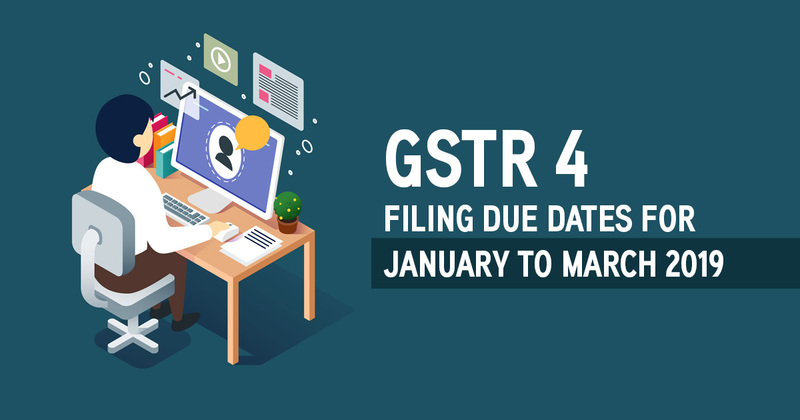 GSTR 4 Oct to Dec return filing extension due date details? GSTR 4 return filled in between 11th and 18th of the month. So GSTR 4 October to December 2018 return filing due date is 18th January 2019.
i am under 20 lakh turnover but we migrated number in to gst regular type number and i only gstr 3b july 17 file but today i want to do application into composition scheme can do ? and previous return how to do maintain suggests me. Till the month in which you opt for composition you have to file all the due returns and from the beginning of next month from applying for composition, you have to be treated as composition dealer. In Jan to March, we have to put purchase details also in composition scheme ? Yes, in every qtr’s return you have to show all purchase details. after entering purchase details(Reverse Charge – NO) , when i click GET SUMMARY Button it is shown in Grand Total Rs.XXXX(Tax Amount in Purchase+Tax Amount in Turnover i.e.,1% ) shall we need to pay tax amount Rs.XXXX (Including Tax in Purchases also ) Sir? Only purchases covered under RCM, being eligible for payment of tax by composition taxpayer, tax on normal purchases need not to be paid. Composition Scheme me rahne wale dealer ko 01.01.2018 to 31.03.2018 ki tremahi me purchase bill detail deni hai ya nahi.?? As such no ITC will be available on purchases, but for reporting purpose you can show that. I just want to know that should we have to put all details of purchase from July to march in the GSTr-4 or only shown purchase from january to march? there is a lot of confusion ..
GSTR-4 has to be filed quarterly, so the quarterly turnover has to be reported. In delay in filing return for the 4th quarter, you will be charged late fee and interest. In quarter 4 F.Y 2017-18 , We have not entered purchase detail GSTR 4 , its problem for us in future , explain sir. From January to March 2018, you have to file GSTR-4 by generating JSON file through the dept. utility. My supplier generated one credit note for 03 items returned by me during 4th Qtr but there are 03 different involces(post GST)for the 03 items returned. While filling sheet 5B(CDNR) of GSTR_4 I have to repeat same credit note to fill relevant Invoices. But the system shows error saying note already exists in the FY. All the items(seeds)returned are exempted from GST.In the above case I have left the sheet 5B (CDNR) blank. May it attract any problem in future. I have filed the return (4th Qtr) as well paid the tax amount. As for each invoice you have to issue a seperate credit note, so you have to entered it accordingly. i lapsed filing gstr4, now when can i file gstr4 again. You can file it anytime with the payment of late fees. On the GST portal I have watched continue my return period file is showing October to December but suddenly on GST portal I have watched to submit July to September file return and I have submitted nil return on the same time. so why did they deduct 440 late fees for July to September? I have got my GSTIN registration number on 7th September but on GST portal my return period file is continue showing October to December. In that case how can I submitted my GSTR4 return for July to September within 24 December? Till now the late fees is not refunded. As you have registered on 7th of September so liability to file quarterly return related to July-Sep return arise on you and as you file the return after due date that’s why late fees has been imposed, and if there any technical issue relating to your return period not showing on portal, you have to contact to GSTN. I will be wrongly submitted GSTR-4 for April to June 2018. Kindly reset the submission process. You have to show details in column 4 of GSTR-4. Facility to opt out from composition can be opted at the beginning of the financial year only. Credit of input can be claimed for the stock in hand as on the last date of the financial year. Hello sir, I ask to GST help desk to can we have to file purchase details on GSTR 4 for 1st quarter 2018 ? They said it’s not necessary. What you say ? How to use my itc of GST , when I optin composition scheme dates 1.10.2017. July to Sept, 2017 I am regular taxpayer and I have ITC . As you are regd. under composition scheme, you are not allowed to avail ITC , and at the time of transition from regular to composition , assesee need to pay sum equal to stand as itc in stock. then show Error (You have no cash balance) why bcoz I’m already filing Nil return so way shows this SMS. Sir, please contact GST portal helpdesk for the same as no cash balance is required in case of nil return. How I file July 18 to September 18 return. which figure enter the only sale and purchase both details fill in this return so, please tell me how can I file. No nothing has been mentioned in this regard as per declaration provided by govt. earlier for not filling purchase details in table 4A. As the same ruling is still in continuation, it is not required to file such details. GSTR 4 For the month of OCT TO DEC 2018 , Normal Purachse Details Disclosed Compulsory Or Not??? Can I file Gstr 4 without Purchase Detail as we are not getting any kind of credit and it is very hectic to put all these purchase bills? No nothing has been mentioned in this regard as per declaration provided by govt. earlier for not filling purchase details in table 4A.